Developing personal tastes is a skill which I’ve found difficult. As such, a personal desire arose from this to visualise historic likes, favourites, and starred items in an effort to identify evolving personal interests. The titles of articles shared on Facebook was gathered together. Keywords were then transformed into a network, with links between keywords that appeared together. 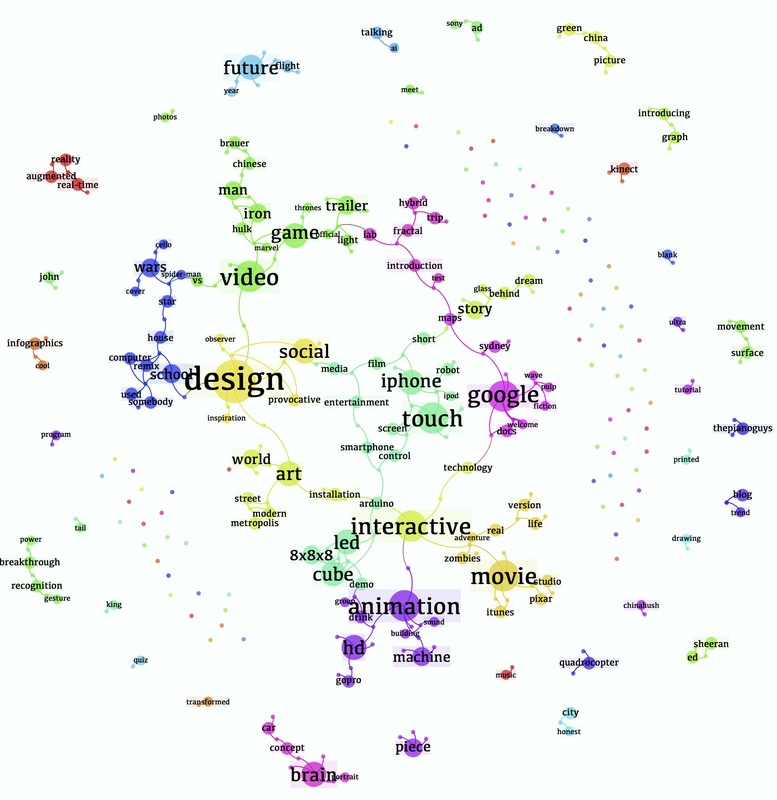 Colours are ‘communities’ of keywords, whereas the larger the word, the more it was mentioned. Up to this point in time, I seem to be posting quite a bit about Google, Animation, Apple Products, and Design. Also some smaller interests in Marvel, Games, Zombie and Pixar Movies, Augmented Reality and Infographics.